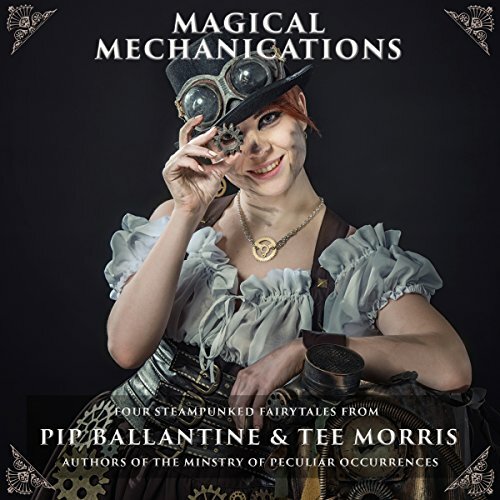 Four steampunk novelettes from the authors of the Ministry of Peculiar Occurrences, Pip Ballantine and Tee Morris. In France a deadly battle is raging in the skies, but Scarlett Quinn has been shuffled off to reconnaissance duty in an ailing biplane that has seen better days. However, fate will put her in the crosshairs of one of Germany's greatest aces, behind enemy lines and way over her head. Completing her mission will be no easy task, and Scarlett must use her wits and skills if she wants to return safely back to earth. Aladdin is a street-wise thief that finds himself under the tutelage of a world-renown illusionist. He is escorted deep into the deserts in search of a treasure beyond his wildest dreams, and discovers instead something far more valuable - a destiny. The mermaid Lorelei is the youngest daughter of King Triton, but she has always been drawn to the above world. Though she is revels in the joys of her tail and the underwater world, she has never felt she belongs there. The Sea Witch and her marvelous contraptions offer a way to pursue her dreams. What she will find there will change her fate forever. Based on Hans Christian Anderson's classic fairytale Wild Swans, this is the story of Eleanor and her quest to save her beloved brothers. When the beautiful Faine Escrew marries Eleanor's father, she, her brother's and the flying City of Swans are thrown into danger. Even worse, she is sent away by her new step-mother, and discovers her brothers have been locked in mechanical swans, and only she can save them. This impossible task demands everything from Eleanor, and only her wits and determination can save those she loves. There are fairytale retellings and then there are models placed on pedestals for all to study and learn. These four steampunk retellings are inventive, fun, and unexpected. I love the world Pip Ballantine and Tee Morris create. All of them. And I strove to listening and collecting more. It’s addictive and satisfying. I really hope they work on more of these! If you like steampunk and fairy tales, these four stories are worth your time and money. Fun, easy to listen to, and each story is quirky enough to bring NFL new life to both genres.